”So you want to lose pounds? Why not start juicing everyday? 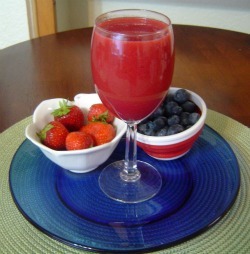 I have some tantalizing juice recipes to lose pounds fast. Juice apples first, second the carrots, then add the ginger. Let the ingredients join by putting it in the refrig for 15 to 20 minutes. If you'd like a little pizzazz mix with diet ginger ale or sparkling water on ice. Blueberries are always a must if you deal with inflammation on a daily basis. I prefer mango to kiwi. But, kiwi are packed with vitamin C!! 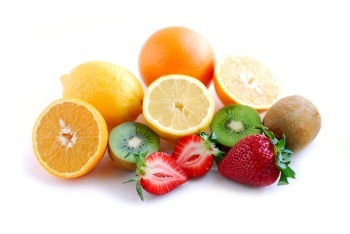 Start juicing with the strawberries; blueberries; mango or kiwi; orange last. The reason you order your fruit, you want the dominant flavor to go first. Because I love the strawberry flavor, I want it to dominate, therefore it juices first. And orange like all citrus fruits can over power every other flavor, so they go last!! Look to lose pounds fast with veggies and your juicer. Juice tomatoes first; celery second. Add Tabasco sauce and pepper. Simply because it keeps you fat via: cravings, fluid retention and you hold on too your fat. It gives people high blood pressure which can lead to heart failure and death. 3 good reasons to steer clear of sodium! 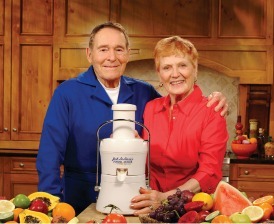 How many years ago was the Guru of weight loss Jack LaLane teaching us about good nutrition and exercise? Being that he is in his 90's, I'm sure it was quite awhile ago!! 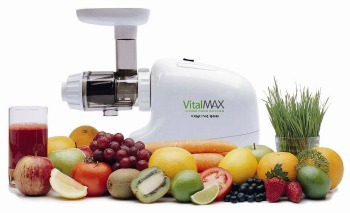 I use his brand of juicer, it's not the best by a very long short! But, the price is reasonably affordable for all families. You have enough ideas to make your own lose-pounds juicing. 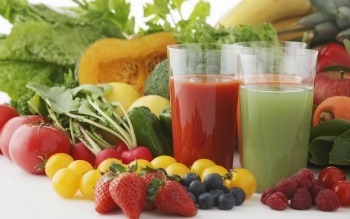 I want to hear from you when juicing helps you lose weight. Sign up for Fat Slap News...It's "FREE"...You'll read it FIRST here! !